Aliante Golf Club opened up to public play in 2003. Vegas Golfer Magazine named it the Best New Course in Las Vegas, NV. The local Aliante championship course has been home to many well known tournaments from many organizations. The course has been designed by Gary Panks and Assoc. to enrich the real estate and provide local golfers an enjoyable experience. An arroyo and healthy landscape at the Aliante course creates a strong challenge for seasoned golfers. This course offers some of the best elements found in other Las Vegas golf courses. The Aliante Golf Club is located near the Aliante Station Resort Hotel off Aliante Parkway. Novices can play side by side with experienced golfers and not feel overwhelmed. The course design will have you utilize each club on the field. The course is highlighted by some interesting trees not found in Las Vegas golf courses including purple locust ad pear trees. Plenty of trees, water features and expansive landing areas are created by the original design. You can spend a day at Aliante Golf Club Las Vegas. Have an enjoyable lunch and overlook the beautiful scenery of the nearby mountains and golf course. Pick up the latest clubs at the golf shop in the clubhouse. To practice your short game or your swing the practice facility offers a practice bunker, putting green, chipping green and a large driving range. Frequent golfers may join their OB Sports Golf Card Las Vegas. Benefits are available at Legacy Golf Club in Green Valley, Aliante Golf Club and Angel Park Golf Club in Summerlin. 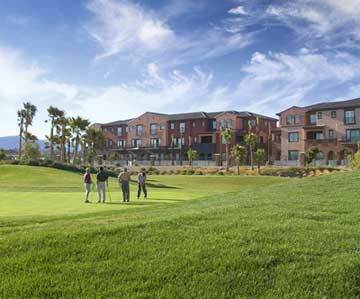 Aliante Golf Course is great fun for local Aliante real estate residents.